Another entry in the popular series of action games, in which the players assume the role of the assassin for hire known as Agent 47. In Hitman 2, the protagonist is chasing the mysterious client. 47 must eliminate the target and destroy his criminal network. Hitman 2 is another entry in the popular series of action games developed by IO-Interactive. It is also a direct sequel to the bestseller game from 2016. The developers gained independence from Square Enix and their new game was published by Warner Bros. Interactive Entertainment. 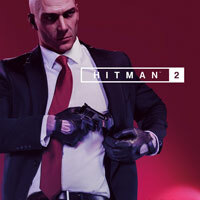 Hitman 2 takes place after the events presented in the previous entry in the series. Agent 47 is tasked with eliminating the mysterious client and destroying his criminal network. The matters become more complicated when the protagonist learns the true identity of the target and his past. The action in Hitman 2 is presented from a third-person perspective. While chasing his target, the silent assassin visits various areas of the world, including tropical forests and the sunny city of Miami. During the game, the players are eliminating selected targets. Similar to previous entries in the series, the missions in Hitman 2 can be completed in various ways. Although it is possible to complete the tasks by simply participating in open combat with the enemies, more subtle methods and silent assassinations are more preferable. A professional killer is supposed to use disguises, to sneak past enemies, use pistols with silencers and sniper rifles, poisons, and to make the murders look like accidents. Hitman 2 is the first entry in the series that features a cooperation multiplayer mode titled Sniper Assassin. The singleplayer story campaign remains the main mode of the game. Hitman is powered by Glacier 2, the engine created by IO-Interactive. The three-dimensional graphics are of similar quality to the ones present in the previous entry in the series. Hitman 2 Guide is a comprehensive collection of tips and a detailed walkthrough for this demanding action game. Thanks to our guide you will learn about all the variants of completing the mission, and what conditions must be met in order to get trophies.